Tinder Box Reserve 1928 in a Kaywoodie billiard, circa 1960 estate. Troost Aromatic Match in a 2002 IMP smooth full bend egg shaped meer. Dark Bird's Eye in a Mastro de Paja bent rusticated poker. 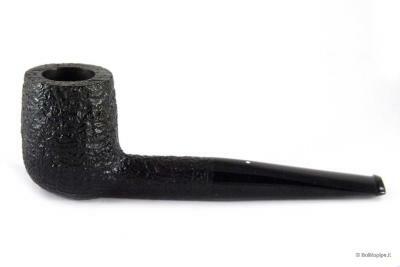 MacBaren Roll Cake in a 1979 black sandblasted medium bend Savinelli Non Pareil 9606 Billiard with a horn ferrule. Dark Star in a Castello KK32 Sea Rock. Five Bros in my Musico bent tadpole, SG grousemoore in my meerschaum bent egg. GLP Stratford in my Moretti magnum Rhodesian. Peacehaven in a 2014 smooth quarter bend Basil Meadows horn. Great smoking pipe! SG 1792 in my MM cob pot. On a rare summer Sat day off, I had the pleasure of OGS in my Sav 316 Oscar Lucite after a light b'fast. Late morning saw some Park Lane Orient Express Scene 1, in my Tinsky '12 Xmas Dark Blast Poker. Mid-afternoon had some righteous ODF, in a Karl Erik Volcano. Have some Revor Plug prepped for after supper, in my trusty Wiley Rhody. Emp in a BSP plateaux rim bent bulldog. Blackwoods Flake in a Castello Sea Rock cutty. Peretti’s B-94 in a 1982 black grain relief sandblasted three quarter bend W.O. Larsen Dublinish pipe. Dark Bird's Eye in a Ser Jacopo bent sandblasted Dublin. Peretti’s Royal in a full bend black pebble finish 2001 Rinaldo Lithos YY8 Titania Silver Line egg. Have enough left for one bowl. nothing at this desk, '05 CrownAchievement in Cavvichi C bent Dublin freehand in smoking room. Soon, off to original ASP chat & eventually a beer. Gaslight in a Peterson Emerald 338. Half way through this bowl of St. James Flake in a 1998 smooth medium bend Peterson Limerick 69 with a nickel band. Not far from finishing this bowl of MacBaren Three Nuns in a 2003 smooth three quarter bend Fiammata Odissea Titania 02 Silver Line 3 Rinaldo Straight Grain egg.